Vincent Bach combined his unique talents as both an accomplished musician and a talented engineer to create brass instruments of unequalled tonal quality. Often copied but never duplicated, Bach Stradivarius instruments today remain the sound choice of artists worldwide. 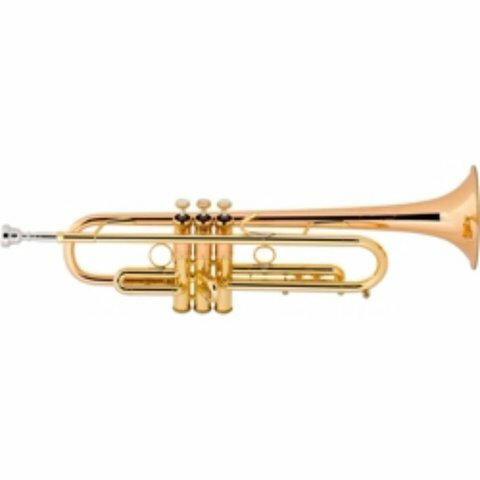 The Bach 180 series Bb trumpets are the most versatile available offering more options that meet the demanding needs of today's most discriminating players. The Bach 180 series trumpets are the number one selling professional trumpets in the world. The LT190 series was designed for players seeking a lively trumpet with a brighter sound and quicker response. The lightweight body and one-piece hand-hammered professional bell in and the standard mouthpipe add to the controlled centered sound and brilliant tone of this model. The clear lacquer finish provides a subtle warmth to the overall sound. Bach "Stradivarius" - .459" Medium-large bore, lightweight body, lightweight yellow brass one-piece hand-hammered #43 bell, standard construction #25 mouthpipe, monel pistons, 1st slide thumb saddle, adjustable 3rd slide rod stop, clear lacquer finish, Bach 7C mouthpiece, C180 woodshell case.